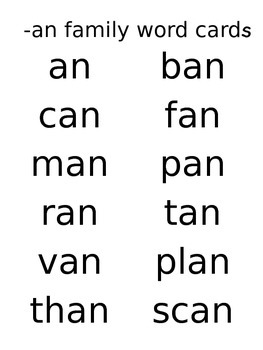 This is a great file for teaching young students about word families. 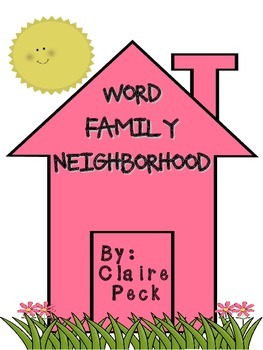 This document gives you all the materials you need to build a neighborhood of word families. 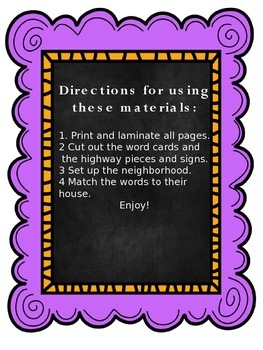 Kids will enjoy the road and sign pieces included, as well as the houses that help teach the following word families: ag, an, ap, at, ar, am, ub, ug, un, up, ut, ed, en, et, ig, in, ip, it, og, op, and ot.